"Thank you so very much for the amazing website for Healthy Mom&Baby. Can you feel the shockwaves? We're jumping with delight; we love it! Your creative genius at its finest!" AWHONN is the Association of Women’s Health, Obstetric and Neonatal Nurses and it promotes the health of women, newborns and their families. Their mission is to strengthen the nursing profession through the delivery of superior advocacy, research, education and other professional and clinical resources to nurses and other healthcare professionals. AWHONN is the largest Neonatal nursing organisation in the US and represents the interests of 350,000 registered nurses across the United States. Being responsible for delivering the majority of babies in the US creates a massive requirement to provide trusted and safe information to mums to be and new mums. In addition to this the young mums are mobile in every sense of the word. Whilst AWHONN had a good social presence they lacked a digital solution that could provide solid articles, videos and information. The Healthy Mom&Baby site presented many problems. It had numerous unique pages both with regard to design and functionality, including the ability for users to ask questions to the nurses, reporting of diaper donations, and nurses registering for magazines which at some point in the past had been hard coded and were difficult to update. 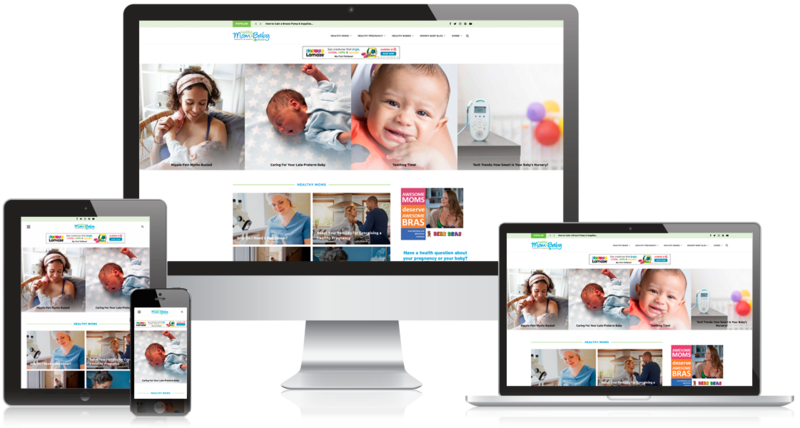 We created a mobile first website that was written by the nurses; providing extensive articles that are fully trusted and verified. The design of the site is modern and fits with their branding. New designs were created for each of the unique pages, and solutions found for the unique functionality required which allowed the site to keep all the special elements in a cost effective mannor.